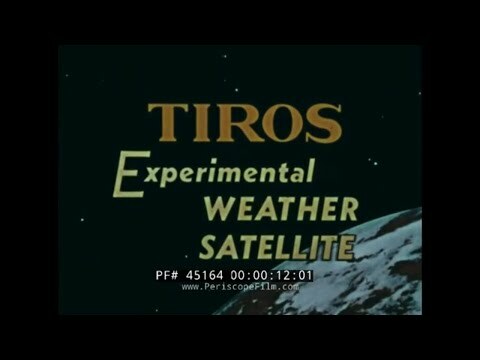 Project: TIROS is in full swing, so I thought I might post a little primer on the namesake. Enjoy this bit of vintage film reel and be sure to follow the progress here and at element14! It’s been quite a while since we’ve had the typical James Bond novel of deep cover and intrigue. The last attempt was Goldfinger and Bond was so incompetent with the execution that I scarcely dare consider it. In On Her Majesty’s Secret Service, James Bond–sick and tired of “desk work” chasing down leads on Ernst Stavro Blofeld (his assignment since Operation Thunderball), mostly ending up as wild geese–seriously considers resigning from the Double-Oh Section and going into some other line. He even goes so far as to dictate his resignation letter to his secretary, Mary Goodnight, when he gets an urgent call from M informing him of a new lead on Blofeld at the Royal College of Arms. Bond goes under deep cover as a representative of the Royal College of Arms to help determine if this Blofeld fellow (who wants to claim a dukeship in France), proprietor of a health clinic and ski resort on top of a Swiss alp, is the same character who mastermined the Thunderball affair. What he finds is no real surprise, but the cat-and-mouse game of subterfuge is Fleming’s knack for nail-biting suspense at it’s peak (or should I say, “piz”?)! 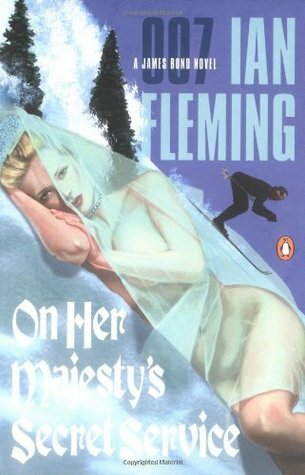 Fleming gives Bond one of his best and most “James Bond-like” outings of the series in this taut thriller that puts Bond completely in the lion’s den with no gadgets, no backup, and possibly no escape. Bond is literally in character, locked in a fortress, and under near-constant surveillance from his quarry. The devil is in the details, though, as our wily secret agent has to improvise his way around the compound, find the information he needs, and escape with his life–or die trying. Desperate mountainside chases on skis and bobsleds highlight the intense action worthy of any great action film (brilliantly portrayed by George Lazenby in 1969 in the most faithful adaptation of the franchise) while sweaty, page-turning suspense inside the Piz Gloria culminate in what might be the best book of the series. James Bond is human, and there’s a definite sense of the stakes involved in this caper. We’re not entirely certain that he’s going to make it, but even a hero needs the help of a hero every once in a while…. 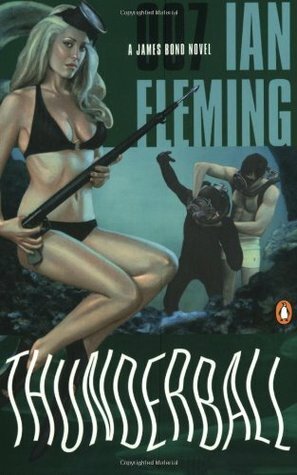 It’s quite interesting to read a James Bond story from the perspective of the Bond Girl, and Ian Fleming takes the opportunity to get in touch with his feminine side, penning a personal account of a chance encounter with the famous secret agent during one woman’s moment of life-threatening peril. Vivien Michel is a young Canadian woman on personal exile after a particularly heartbreaking string of affairs with European men during her early 20s in London (UK, not Ontario). Instead of giving up on life, she takes what savings she has, buys a Vespa, and decides to motor her way from her family’s home near Montreal into New York to Miami. We meet Viv as she is preparing to close the motel where she’s been staying for the last few weeks, somewhere in the Adirondacks of upstate New York. A series of wistful anecdotes illustrates her whirlwind romances with “lesser” men before she is rudely interrupted–in true Fleming fashion–by two particularly unsavory gangsters, complete with grotesque mannerisms and features befitting any Bond villain. Two two men terrorize Viv while never completely stating their true purpose, leading to several desperate attempts to fight or flee–ultimately being captured or subdued each time. We’re not introduced to James Bond until nearly 3/4 of the text is passed. He appears out of nowhere, a knight mounted in a hired Ford Thunderbird, after a conveniently punctured tire leaves him stranded on the road to Washington. Naturally, Bond steps in and does what Bond does in true Fleming style. Rescue, revenge, and relish all in the span of one night. The Spy Who Loved Me is an interesting experiment in storytelling, a departure from the Bond narrative that we’re used to. We don’t really get the introspective Bond that plots and plans every detail of the attack–instead, we get to watch Bond from the perspective of the damsel in distress. We get to see how Fleming believes the “woman’s psyche” works as she falls in love with this dangerous man. Sure, its attitude is dated and–like all Bond novels–may not fit a modern “liberated” sensibility, but the storytelling is robust (even `the small stories are worth reading), and the action (once it happens) is taut and dramatic. Much like For Your Eyes Only before it, The Spy Who Loved Me is a vignette, a small window–a “side quest”, if you will excuse the metaphor–of a much larger Bond story that was never told. Like the Mexican drug caper tossed aside at the beginning of Goldfinger, it’s an unimportant setup precluding the daring adventure that we’re reading. 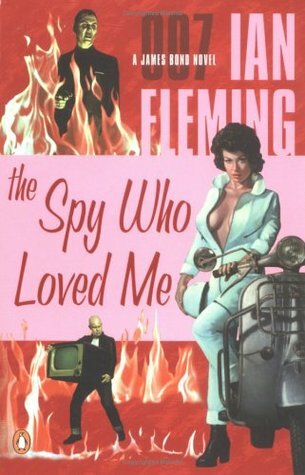 The Spy Who Loved Me shows Fleming as a master storyteller capable of crafting compelling, emotionally interesting characters in a small setting and giving us a glimpse into the “real life” outside of Bond’s globetrotting adventures, posh hotels, and gentlemen’s clubs. As in years past, we are offering you a Special Bonus Question in which you get to predict what you think will happen in the coming year–not just to you, but to the world around you. For this year’s version of the Special Bonus Question, we have teamed up with Larry Smith’s Six-Word Memoirs, which recently published Six Words Fresh Off The Boat: Stories of Immigration, Identity & Coming To America. For this bonus question, be as local or as global as you like, so long as you answer in exactly six words. So much change. So much disruption. 10Q #9: What is a fear that you have and how has it limited you? How do you plan on letting it go or overcoming it in the coming year? One thing that I fear is becoming irrelevant to the next generation. I don’t have kids of my own, and I don’t really plan to, so I have to be content with being “Uncle Matt” to my sisters’ kids. Which, for the most part, I am. My nephews and my niece light up my world–even though I see them only maybe once a year. There’s a lot that I feel that I can teach them, lots of those odd little life lessons and so forth that they might not get from their parents. My uncle Homer was like that for me. Homer’s a kooky old codger–somewhere between Jimmy Buffet and the Dalai Lama–that I really only saw at family reunions, but he took a shine to us kids. I remember him telling old tall tales of his adventures when he was younger–bootlegging, private investigating, and a whole slew of jobs that a young boy really only encounters in adventure books and films! On top of that, he was the man who introduced me to some of the greatest (underrated at the time) minds in science: Tesla, Bucky Fuller, and Philo Farnsworth to name but a few! I want to be The Most Interesting Man In The World to these kids. I want to be the lighthouse when they inevitably have issues that they don’t feel comfortable bringing to their parents. I want to be the man who does everything and anything and spins yarns about his adventures to these kids. I suppose that, at least for now, I just gotta do it! 10Q #8: Is there something (a person, a cause, an idea) that you want to investigate more fully in 2019? Is there something (a person, a cause, an idea) that you want to investigate more fully in 2019? As always, I strive to learn as much as I can about as much as I can. Picking up work from element14 Presents has been challenging in that I don’t know as much about all the different boards and programming languages as I feel like I should. I continually remind people that I’m not Ben Heck, but I also realize myself that I’m not Ben Heck in that I don’t have the decade(s) of experience that he has working with microelectronics. I have a passion for these things, and I have enough knowledge and experience to–for example–take apart a VCR and put it back together again or to rewire old gaming equipment, but I don’t have a background in design, I don’t have a robust relationship with Ki-CAD or Blender, and I don’t have a Felix or a Karen to fall back on when I need to bounce ideas around. I started a crash course in Blender this week, and I should be somewhat up to speed very soon. At least versed enough to build the simple designs that I need for an upcoming project. The next goal will be Ki-CAD, and from there I’ll just start adding to my skills repertoire until I’m at least as functional as The Heckendorn! 10Q #7: How would you like to improve yourself and your life next year? Is there a piece of advice or counsel you received in the past year that could guide you? How would you like to improve yourself and your life next year? Is there a piece of advice or counsel you received in the past year that could guide you? I’m really playing on the professional level with this year’s answers–as in, I’m mostly concerned with my professional quality and my career development right now. By next year, I would like to have my production flow down pat. It’s been evolving since I’ve been concentrating on quality last year, and it’s received a decent shot in the arm from having worked within the element14 Presents world for a few months now. Just keep hustling! Don’t be afraid to take a risk! Seize your opportunity. Follow your bliss! 10Q #6: Describe one thing you’d like to achieve by this time next year. Why is this important to you? I’ve been doing incredibly well staying on my goals for the past few years. Like, really well. I want to keep that streak going. I just celebrated dropping to part-time at my day job, and I’d like to be fully self-sufficient by next year. That’s going to be a tough job, though, as I’ve got to not only keep pushing with the video work, but also pay off a significant chunk of revolving debt. Barbie and I are working together now, throwing bales of dynamite at this mountain that we’ve accumulated, so it’s going to be a challenge. We’re primed and ready–it’s time to take charge! 2012-03-06: Donald Duck's "Booty Wurk"